Solid wood mission style barstools blend well with many styles and the Amish Mission School House Barstools are ready for action. Great seats for casual dining at the kitchen counter or bar, these wood stools feature squared mission slats and come with or without arms. 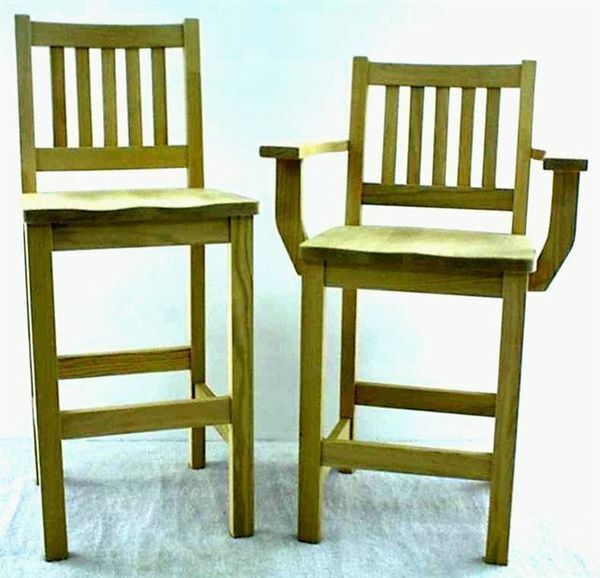 Please email or call us today with any questions about our mission barstools or any of our Amish furniture. Height from Seat to Top of Arm: 7 1/4"